LAST July the Financial Conduct Authority (FCA), the main UK regulator of the lending industry, announced it would take no disciplinary action against RBS over the outrageous activities of the bank’s Global Restructuring Group (GRG), the internal unit that was supposed to turn around “struggling” businesses. In reality, after the Crash of 2008, a lot of the businesses put under GRG control were perfectly viable and most were capable of being returned to profitability. Instead, GRG deliberately undervalued debtor company assets (using compliant external valuers) in order to make it seem the firms had defaulted on their loan covenants. 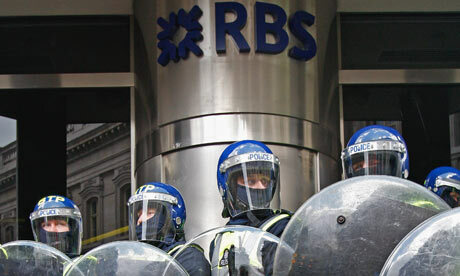 This allowed RBS to seize valuable assets cheaply and sell them off at a big mark-up, to bolster the bank’s capital. Indeed, pillaged assets were often sold by GRG to another wing of RBS – West Register – at a knockdown valuation, in order to disguise what was going on. West Register would then break-up and sell the assets at a proper market rate. Call this looting and pillaging that makes the Vikings look soft. Such infamous conduct by RBS (and similar activity in other banks such as HBOS-Lloyds) is a cardinal reason why UK productivity did not recover after the 2008 financial debacle. Why did the regulator, the FCA, not intervene? Indeed, why has the FCA pointed refused to take any action against RBS directors and managers? The lame excuse from the FCA – and a legally questionable one – is that it lacks the legal powers to discipline RBS for misconduct, even though the regulator says there was “widespread inappropriate treatment” of small businesses by GRG. One might ask why the FCA does not seek the appropriate powers or refer the matter to the Treasury? After all, the Treasury owns RBS. Surely the least the FCA could do would be set the ground for an official public inquiry? 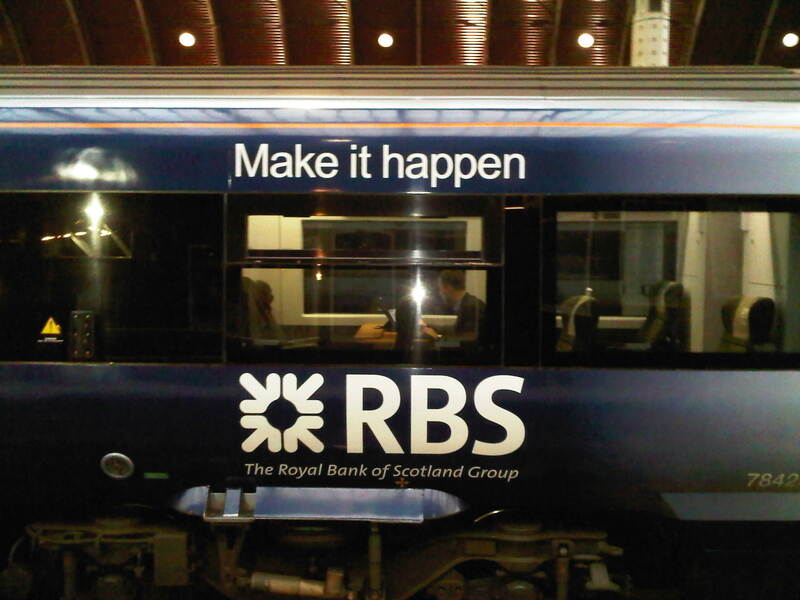 Could it be something to do with the fact that the Treasury wants to flog its remaining shares in RBS? And that the FCA is not really independent of the UK Treasury after all? Lesson: an independent Scotland needs a financial regulator with more teeth than the FCA. Which is why Andrew Wilson’s Sustainable Growth Report for the SNP is wholly wrong to suggest we should simply import the FCA model wholesale. Andrew was Deputy Chief Economist for RBS before becoming the bank’s head of external communications at the time of the 2008 Crash, when GRG was doing its worst. Fortunately, this week, one of GRG’s victims – Scots businessman and entrepreneur, Neil Mitchell, has announced he is seeking a judicial review of the FCA decision to let RBS off the proverbial hook. Mitchell has been battling RBS since GRG took away his very successful software company, Torex, and flogged it to US vulture fund Cerberus for £200m less than it was worth. Torex shareholders got nothing. Mitchell is a driven man and forensic in his campaign against RBS. I once mentioned Mitchell to current RBS boss Ross McEwan, only to have McEwan launch into a rant that clearly embarrassed his phalanx of PR assistants. Next day I got a hand-written mea culpa (sort of) from the short-tempered Mr McEwan, doubles dictated by some PR staffer desperate to limit the damage. Neil Mitchell’s legal crusade against RBS has resulted in odd developments such as his mobile phones and computers being repeatedly hacked by somebody with the cash and motive to employ expensive industrial espionage consultants. I couldn’t possibly suggest who would do such a thing. But I do know that after government advisor Lawrence Tomlinson wrote a damning report about GRG for Vince Cable, the then industry minister, he had his personal RBS accounts instantly withdrawn. You’ll be able to see Neil Mitchell explain his battle with RBS-GRG in a documentary film I have made with Bafta-winning director Samir Mehanovic, entitled Spank the Banker, which will be in cinemas next year. With the Brexit crisis boiling over at Westminster, there’s been a lot of misleading media reports about how “quiet” the markets are behaving. This is being spun as suggesting UK business and finance is being supportive of Theresa May’s exit strategy. Not so. True the pound on the foreign exchange markets has dropped only a little in recent days but it actually cratered a while back – any current stability is a mirage due to the dollar strengthening after Trump’s bogus deal with China on tariffs. Share prices are down too, but not as much as they might be because the mess in Italy is taking cash out of bonds and into stocks. The true measure of the City’s worries about Brexit can be seen in the derivatives market, which has gone bonkers. Derivatives are market trades that bet on something really horrible happening. Trades in derivative options covering UK interest rates over the next three months have just surpassed the level set during the financial crisis of 2008. This represents investors covering their behinds in case of a chaotic hard Brexit and UK interest rates jumping to 5.5 per cent, as the Bank of England warned last week. When rates leave a ship you know it’s sinking, etc. When the GRG scandal broke a year or so back I was so incensed by the obvious wrongdoing that I wrote to the Serious Fraud Office and asked them to investigate and prosecute. I got back the sort of reply that Joe Public would expect from such an organisation. We will look at it maybe one day if it can be justified but not now. Today I see that The SFO have got egg all over their face with the Tesco black hole scandal going south. They were unable to prove that the people they charged knew that the account was being manipulated to show a false balance sheet. Now it seems that nobody knew what was going on at Tesco. This is the sort of financial regulation the our Tory government and their complicit allies on the other side of the house have left us with. Light touch regulation with nobody ever guilty when the piggy bank is robbed. Let us hope that an independent Scotland will legislate for financial regulation with teeth and provide big enough jails to accommodate those that transgress. With international-money prepared to and able to to hire regiments of lawyers and accountants, who more-or-less write the financial legislation that is brought into law by unqualified legislators in legislatures the-world-over (often, on-the-nod), I wouldn’t hold my breath. NatWest did same to me 15 years ago over a patent. I lost my home, marriage, business and whole life. Survival was tough especially as I was then plundered in my career. They destroy souls and some just can’t carry on, and I totally understand why.